Denali’s Faith Hill Lodge is the newest Denali Park Bed and Breakfast in the Healy lodging area. We offer a variety of accommodations year round to enhance your Denali National Park visit. Just minutes from the main entrance of Denali National Park and only two miles from the highway, Denali’s Faith Hill Lodge is a great alternative to any Denali National Park hotel, motel or Healy hotel, motel as we are quiet, convenient, comfortable and affordable. Our full cooked to order breakfast adds a 10 to 14 dollar per person savings to our already reasonable rates. Check out our specials page to see if you qualify for one of our many discounts. Our Healy Alaska lodging overlooks the confluence of three valleys to the north of Denali National Park. Unlike many nearby Denali National Park hotels or Healy motels we are off the beaten path in a lightly populated area of Healy. We offer friendly hospitality to visitors from Alaska and around the world. Our guests enjoy the scenic and peaceful surroundings of the Alaska wilderness, without sacrificing amenities like comfortable beds, individual bathrooms, satellite TV and wireless internet. The 3000 sq ft lodge with viewing decks and our 8- plex facility provide comfortable lodging in a bed and breakfast atmosphere. Our Healy accommodations have unique features for your Denali vacation that are not found in other Denali bed and breakfasts or Healy hotel or motels in that we have a full kitchen, stocked with all the cooking utensils you might need and a laundry. We offer a bonus in our excellent on site transportation provided to enhance your Denali Park lodging accommodation and to complete your Alaska bed and breakfast experience. Our best bonus is kids eat free! You will be greeted with friendly customer service at our clean well maintained facility. If for some reason we are unable to accomodate you, we will gladly help you find other lodging at any Denali National Park hotel, motel or bed and breakfast or Healy hotel, motel or bed and breakfast. 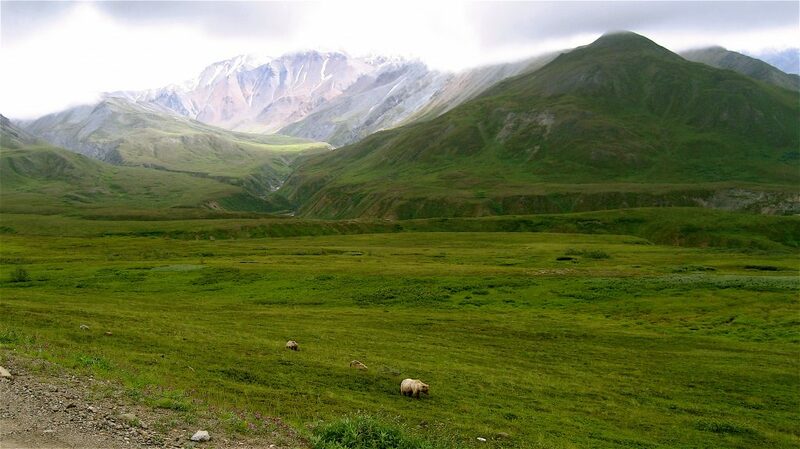 We hope you will stay with us on your next trip to Denali National Park, Alaska.